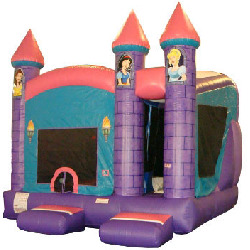 Our Princess Bounce and Slide Combo inflatable rental is the best of both worlds. 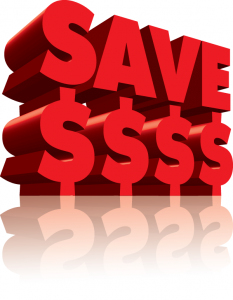 It gives you both an inflatable bounce house and an inflatable slide in one rental unit for one great price. It is so much fun, even the guys in the neighborhood will love jumping in it! Are you looking for the perfect piece for your princess party? We have it. The Princess Bounce/Slide Combo! Hours upon hours of continuous fun Bouncing, Sliding, Climbing Stairs, and just being a kid. Your princess and her friends will love every minute in this extraordinary inflatable rental. There are few things more satisfying than watching your little girl jumping with glee inside a Princess Bounce/Slide Combo, but I can still think of a few. How about when she jumps into your arms to thank you when Game Craze arrives with the Princess Bounce House Combo? Or maybe when mom jumps into your arms with a kiss because you made her party the best one on the block with the bounce house combo rental from Ohio’s best party rental company, Game Craze.